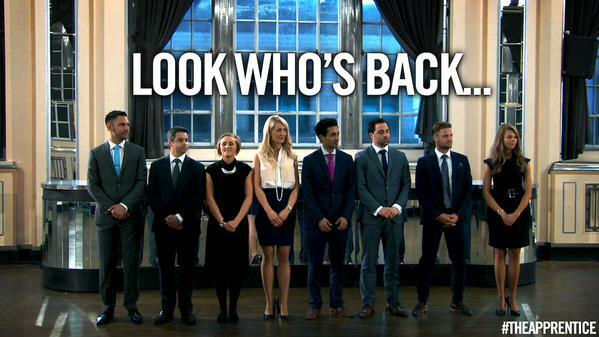 The final of The Apprentice saw Mark and Bianca go head-to-head to win the £250,000 for their businesses. We watched on as some old, incompetent characters from earlier in the series returned and the winner was finally revealed. So, the final task was for Bianca and Mark to put together pitches for their businesses and present them to a large room of experts and business leaders. Obviously they couldn’t do this by themselves, so we saw some of the failed candidates get one last chance to leave on a good note by helping the two finalists out. James, Sarah, Daniel. The memories came flooding back. So, Bianca selected Katie, Felipe, Lauren and Daniel to help her put together the pitch for her upmarket tights business. Daniel was his usual insightful self. Over on Mark’s digital marketing presentation team, he assembled the crack team of Solomon, Sanjey, Sarah and… James. Oh, the humanity. Meanwhile, Bianca had settled on “True Skin” as the name of her unique business that matched specific skin colours to the right pair of tights. She had Katie by her side at all times – and left the others to do the more mundane aspects of the task. 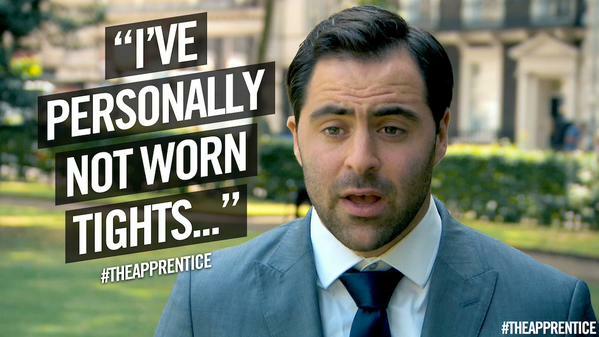 Promotional videos needed to be made for the presentations – and this is where The Apprentice candidates come into their own on the cringeometer. 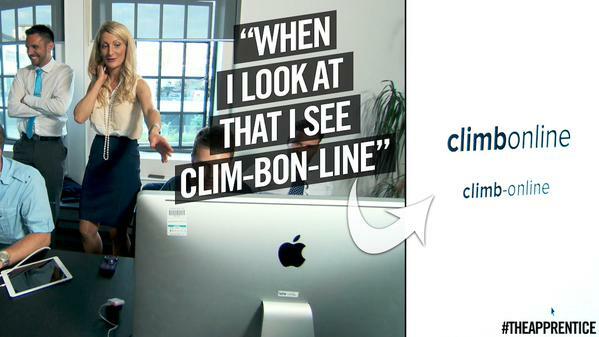 Mark’s ClimbOnline video went literal and had actors as small business owners climbing a wall. So, the fancy function hall was set up for Bianca and Mark to make their pitches. With Mark looking like he would be nervous wreck during his presentation, he went off to prepare by himself – leaving comedy geniuses James and Solomon in charge of the pitch’s “entertainment”. They came up with dancers in these outfits pretending to climb up ladders. Remember, they took “ClimbOnline” very literally. 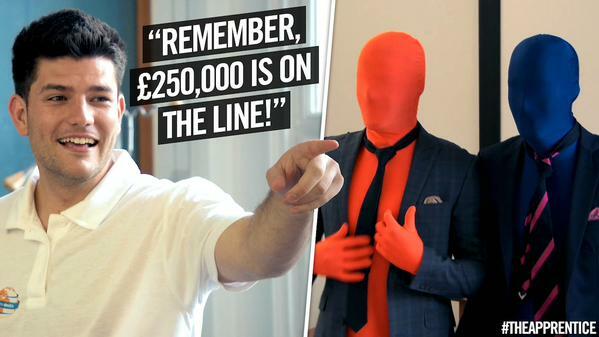 Despite the fact that there was £250,000 on the line, the boardroom had a jaunty and comedic vibe. All the ex-candidates had no pressure on them so it just became a series of pre-prepared Sugar gags. Once the helpers had been thanked and dismissed it was down to Bianca vs Mark. Sugar genuinely seemed to like both ideas. Bianca’s was more in line with what he is used to as a self-proclaimed “product man”. 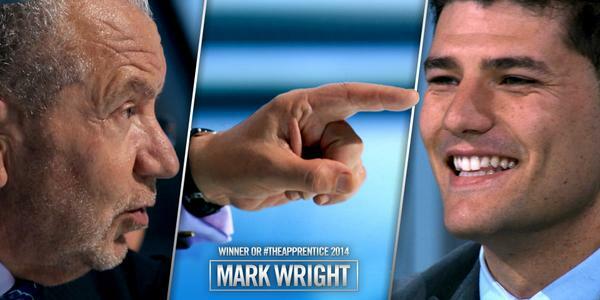 He chatted through the pros and cons of each idea and eventually declared that Mark and his digital advertising agency the winner of The Apprentice 2014. Needless to say, the affable Australian was happy with the result. 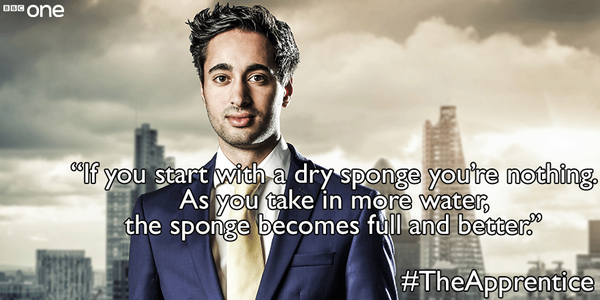 So, we have reached the end of another series of The Apprentice. Did the right candidate win in the end? 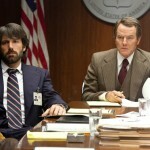 Or is the business idea actually paramount and the first 10 weeks of the show almost irrelevant? I suppose all that matters is that contestants are still willing to put themselves through the wringer and get into petty arguments on screen for our viewing pleasure. Once again, The Apprentice has certainly delivered us that.